I often use the word 'we' when I’m working with a client, as if I’m not an outsider, but instead someone who has a stake in the project and its success. In order to be truly effective, it’s important to me to embrace that point of view and establish that relationship. Mr. Jaffe concentrates his practice in environmental transactional and administrative law. He represents developers, property and business owners, landlords and tenants, manufacturers and other clients on a broad range of environmental legal issues. Mr. Jaffe assists clients in the evaluation, allocation and avoidance of liabilities under various federal and state environmental laws, including New Jersey’s Industrial Site Recovery Act (ISRA) and Spill Compensation and Control Act, the federal CERCLA statute, Underground Storage Tanks (UST) regulations, and the requirements of New Jersey’s Site Remediation Reform Act and its Licensed Site Remediation Professional (LSRP) program. He provides comprehensive counsel on compliance obligations and risk management options. Mr. Jaffe is highly knowledgeable regarding issues associated with the acquisition, cleanup and redevelopment of contaminated properties and brownfield sites. This includes the negotiation of environmental provisions in contracts, leases and loan documents. He has extensive experience in overseeing and coordinating environmental due diligence in real estate transactions, and has coordinated numerous environmental due diligence investigations involving multi-million dollar transactions. 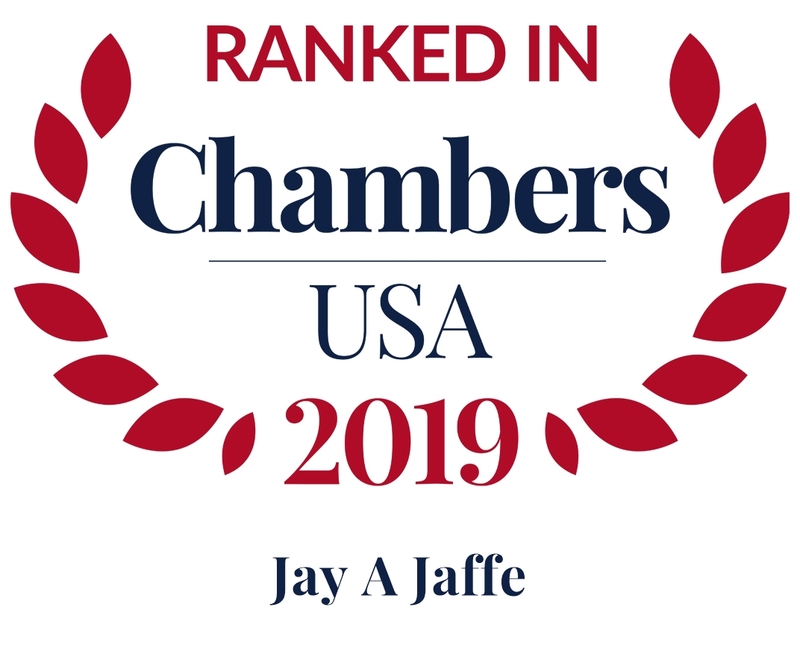 Mr. Jaffe negotiates on behalf of clients with regulatory agencies including the U.S. Environmental Protection Agency and the New Jersey Department of Environmental Protection, and advises clients on potential cost recovery options. He also provides guidance on environmental conditions pertaining to the management of commercial properties, such as asbestos, mold and vapor intrusion. Mr. Jaffe was a member of the firm's team that advised an international Fortune 500 retailer with regard to millions of square feet of development in various locales, including redevelopment areas, tax abatement (PILOT) agreements, environmental remediation, redevelopment plans, state, regional, county and local approvals, zoning permits and certifications, miscellaneous agreements, construction permitting, and assisted in drafting leasing provisions. Mr. Jaffe and other members of the firm's team represented one of the country’s largest real estate developers in connection with the sale of twelve office/industrial properties in Passaic County for in excess of $65 million. The buildings totaled more than 500,000 square feet and are leased to more than 70 tenants. Mr. Jaffe provided environmental related support in the firm’s successful representation of plaintiff Des Champs Laboratories in Des Champs Laboratories, Inc. v. Martin, 2012 N.J. Super. LEXIS 115 (App. Div. 2012), in which the Court struck down an unauthorized regulation of the New Jersey Department of Environmental Protection (NJDEP) which threatened to significantly increase clean up obligations under the Industrial Site Recovery Act (ISRA) for businesses using very small amounts of hazardous substances. Have you received a letter from the New Jersey Department of Environmental Protection (DEP) recently?